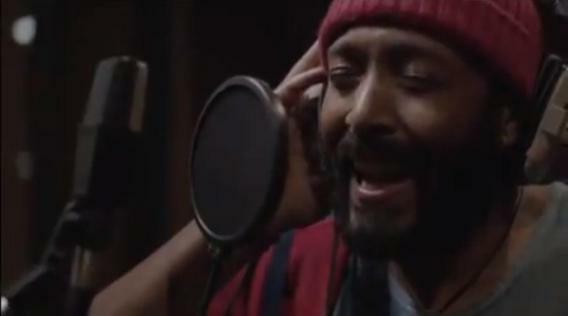 Will the Marvin Gaye Movie Be Any Good? The biopic is a mostly benighted genre. One of the ways to escape the category’s pitfalls is to focus on a specific period in a famous person’s life, rather than attempting to present the whole sweep from birth to death. Think Lincoln, for instance. But this strategy alone is not enough: You need a writer who can avoid the cringe-worthy exposition such exercises are prone to. The movie is apparently scheduled for an April 1, 2014 release; as Tambay Obenson notes over at IndieWire, that’s both the 30th anniversary of Gaye’s death and a Tuesday. Given the midweek premiere date, it’s not clear how widely distributed this film will be. Whatever its future, I hope the finished product feel like a more fitting tribute to the musical legend than the four minutes above. Update, Dec. 1: The promo reel has been removed at the request of New Nation Film.